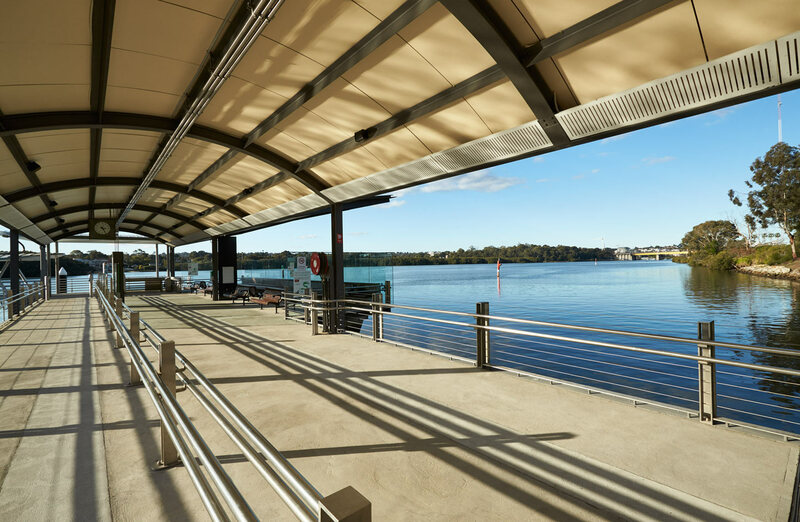 Following a competition, the Olympic Co-ordination Authority commissioned the design of the Homebush Bay Ferry Terminal. 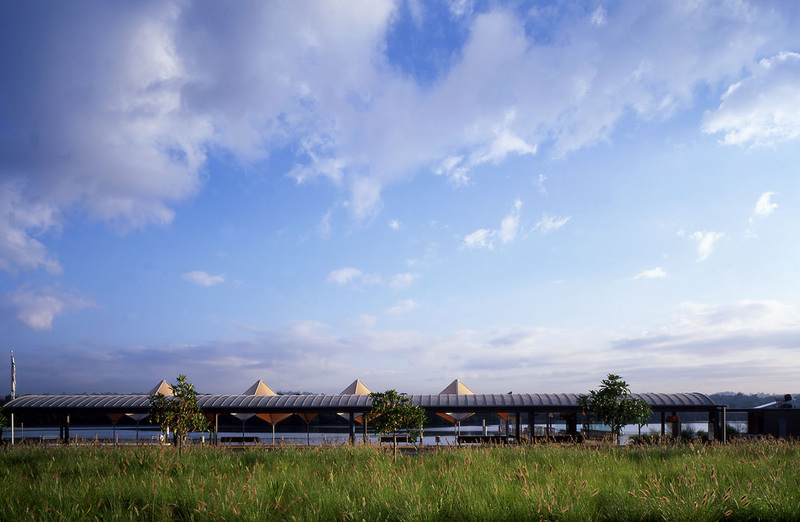 It formed part of the sports facilities designed for the 2000 Olympic Games and general infrastructure for the area. 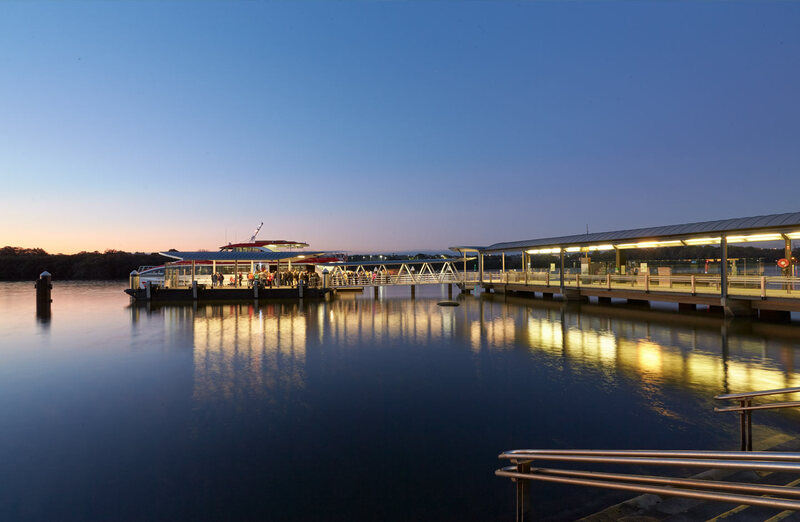 The facility, situated on the Parramatta River, provides interchange between the River Cat ferry service and local vehicular services in the area. The terminal accommodates one ferry berth and four bus stations with associated waiting areas and amenities. 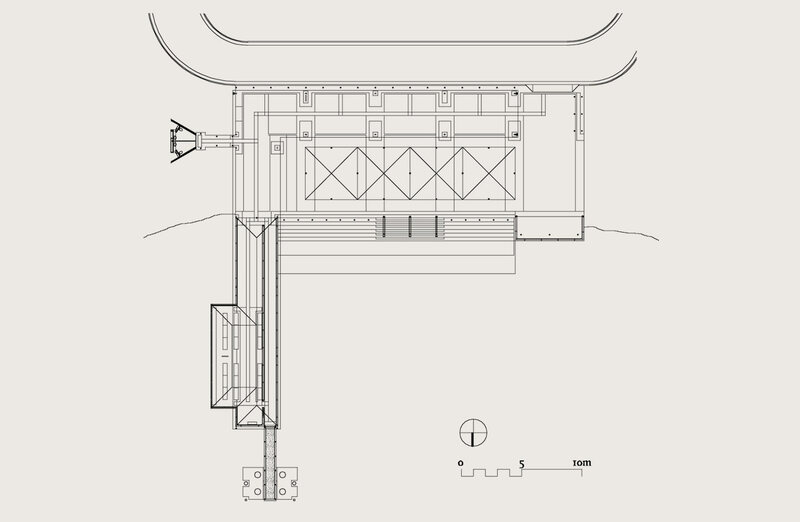 The building consists of two linear covered walkways defining a square that overlooks the river. 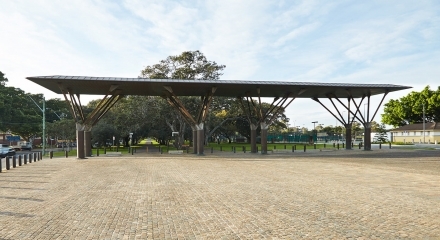 The square allows for ceremonial activities and provides a meeting place on the river edge. Demountable shade structures can be erected to increase the ground area protected from the elements for special occasions. The walkways are steel framed and clad with zinc roof sheeting. 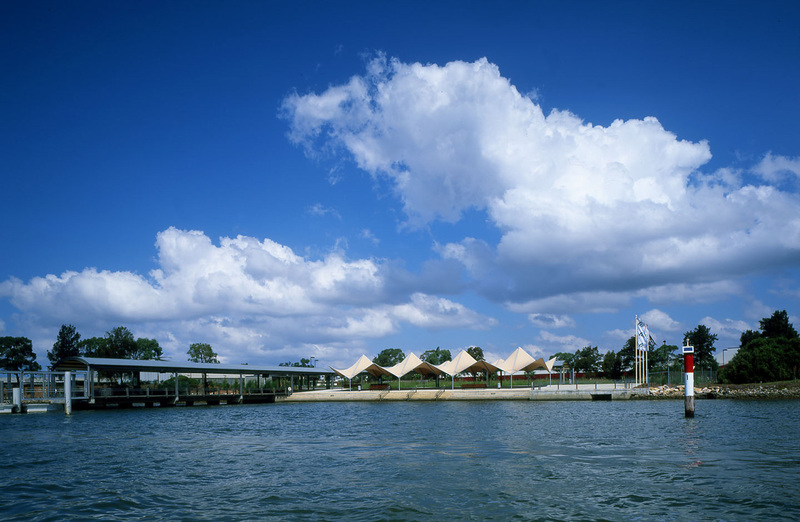 Splayed concrete piers support the building over the water and provide a well designed soffit when viewed from the water. 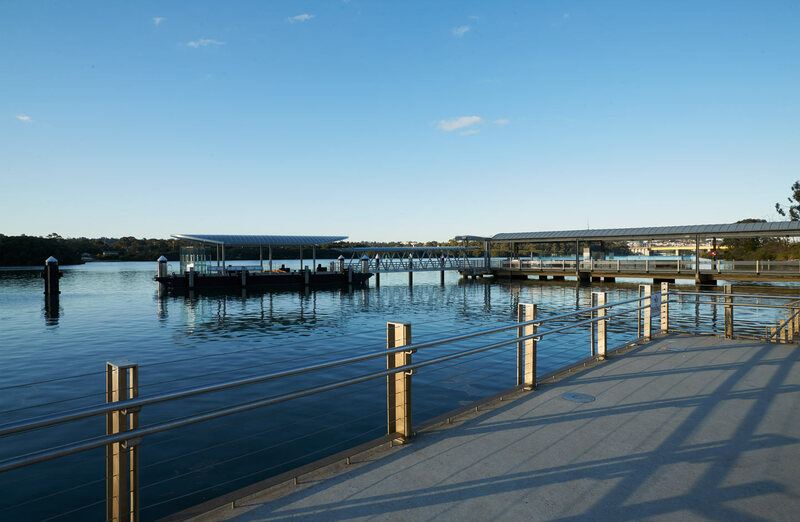 The square, ferry and bus facilities are within the zone of the foreshore-park adding amenity for the park and river users.